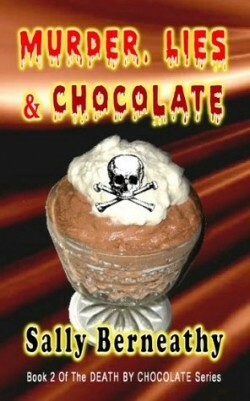 Murder, Lies and Hot Chocolate was free Kindle read. The supporting characters are some of the best parts of the book, her neighbor and employee. They add most of interest to the story. The mystery was okay and was actually more about a “treasure hunt” than the murders. This read more like a chick lit to me than a “cozy”, lots of girly-type bonding over chocolate, a no-good cheating ex, a battered wife friend, etc. I did not read Book 1, so perhaps I would have enjoyed this more if I had. As it stands, I would just rate it as an okay mystery. 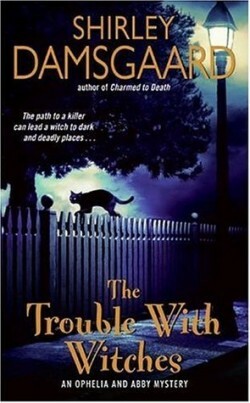 The Trouble With Witches is book 3 in a series that I have been reading. The protagonist, Ophelia, is becoming more and more comfortable with her gifts and in this book the magic takes more of center stage. Ophelia and Abby leave home in this book to explore a “cult” that is implicated in a young woman’s disappearance. The disappearance of Brandi, a murder, and some older crimes are all bound together and resolve neatly in the end. The “cult” has connections to magic and psychic research. Out of the three that I have read in the series so far, I still find the first one my favorite. I will continue to read the series to see what happens in Ophelia and Abby’s lives. This entry was posted in Book Reviews and tagged book, mystery, paranormal, review.